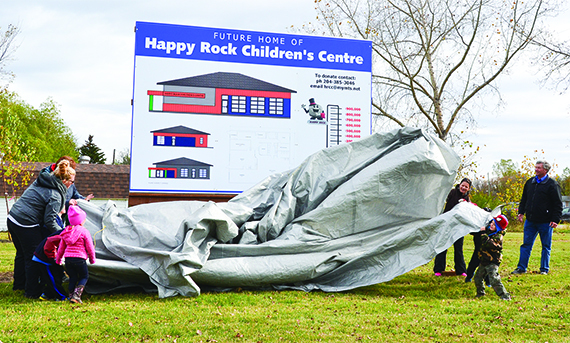 Parents and children were all smiles last Friday as the Happy Rock Children Centre unveiled their plans to build a new daycare in Gladstone. It was a pair of disappointing results for the Neepawa Tigers at the Zone Seven Soccer Championship on Thursday, Oct. 9. The boy’s team was defeated in the varsity semi-final by the MacGregor Mustangs 6-1, while the girl’s squad was downed in the varsity final by the Minnedosa Chancellors in a shootout 3-2. It has long been said municipal elections should not be held in October because so many candidates and/or voters are busy farming. This statement was proven on Oct. 8 when four of 11 people were not present to campaign and only 30-some people came to listen. Every year the flu season in Manitoba begins in late fall and it usually lasts until spring. For 2014-15 the flu vaccine is available for free to all Manitobans.